The Seiko Credor is the holy grail for high-end Japanese timepiece connoisseurs. It is extremely rare on the secondary market and has a very small production. 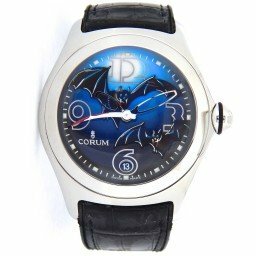 This is the gold standard of watch making in Japan. 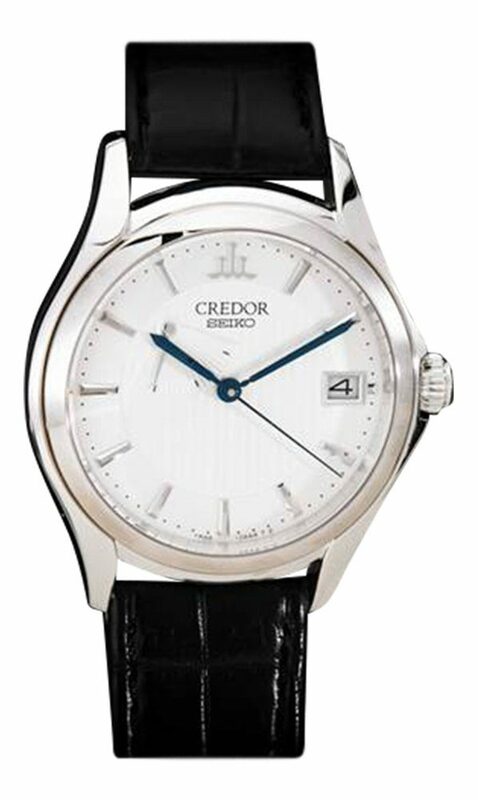 Credor is created in a special atelier under Seiko, with the sole mission to create the highest-end dress watches. No expense was spared in the finishing of the movement and of the case. 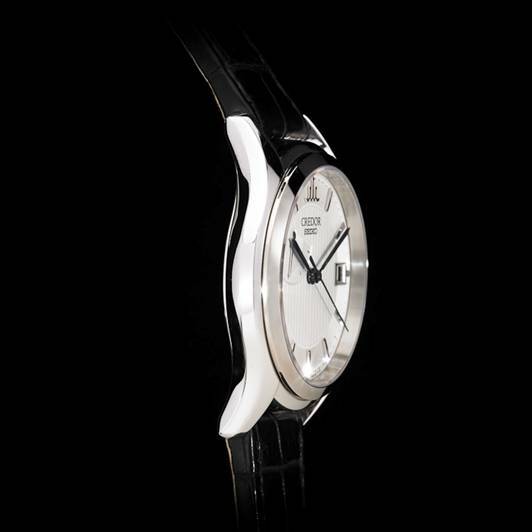 The 18K white gold case is mirror high-polished to perfection, and at 39mm diameter and weighing 93 grams, it is the perfect size for a dress watch of modern age. 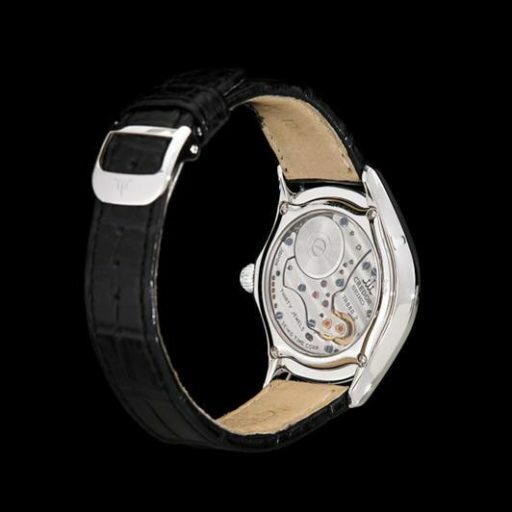 It boasts a hand-winding mechanical movement with “Spring-Drive” power train, developed completely in-house. The finishing is the best and characteristic of Japanese high-end watchmaking. 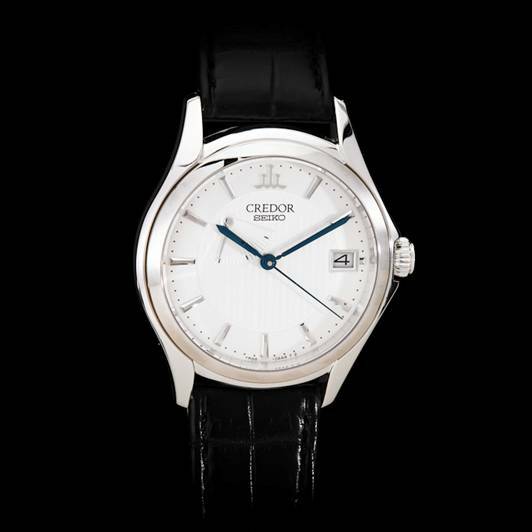 The silver dial features vertical Geneva stripes and houses a power reserve indicator at 10’O clock, and the date at 3’O clock. 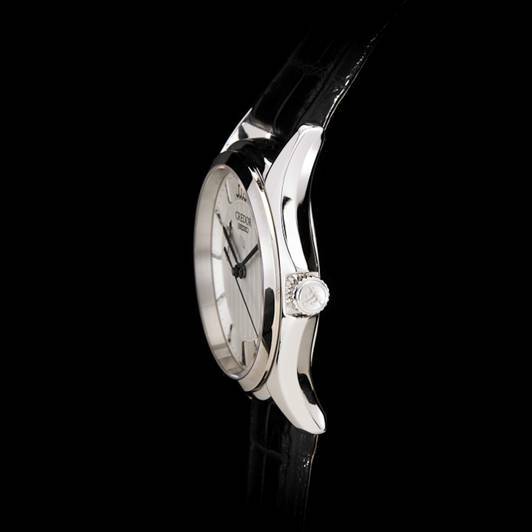 The hour markers are created from 3-dimensional white gold bars.